Obituary for Katharine B. Desjardins | Williams-Pedersen Funeral Home, Inc.
Katharine B. 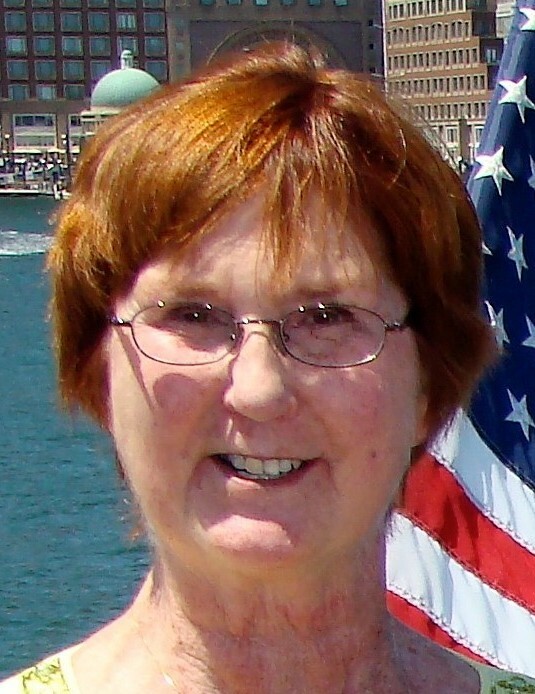 (Beckert) Desjardins, 75, of Northbridge and a former Upton and Northborough resident, passed away on Friday, October 5, 2018, at her home in Northbridge. Born in Lynn on October 8, 1936, she was a daughter of the late Paul A. Beckert, Jr. and Sonja K. (Norelius) Beckert. She was raised and educated in Reading and was a graduate of Reading Memorial High School Class of 1960. Prior to retirement, Ms. Desjardins was employed by the former Mass Electric, now National Grid, as an Administrator. She also worked as a Tax Preparer for H&R Block and as a Librarian in the Miscoe Hill Middle School in Mendon. She was a member of the Northbridge Woman’s Club and served as the Treasurer of the Friends of Northbridge Elders, Inc. (FINE) for several years. Katharine enjoyed sewing, reading with her book club, playing Mahjong, and spending time near the ocean. She was fond of traveling, with some of her favorite trips being to Alaska, California, and especially Aruba. She was also extremely talented with typing and is very tech-savvy. Most important to her though, was spending quality time with all her family. She is survived by her three children, Michael R. Desjardins and his wife Kathy, of Upton, Lynda K. Glassey and her husband Tom, of Bellingham, and Elizabeth K. Poplawski and her husband Gary, of Webster; six grandchildren, Bejan Hakimi and his wife Joelle, Jazmin Hakimi, Darius Hakimi, Marzieh Hakimi, Abbigail Poplawski, and Vivian Poplawski; two great-grandchildren, Keardin and Kaceson Hakimi; two siblings, Kristine Ellis and her husband Charles, of Lynn, and Roger Beckert and his wife Johanna O’Sullivan, of Nahant; one niece, Wylie Beckert; two nephews, Erik Ellis and Tyler Beckert; and her former husband, Richard Desjardins and his wife Donna, of Upton. Her funeral service will be celebrated on Thursday, October 11, at 10:30 AM in the Williams-Pedersen Funeral Home, Inc., 45 Main Street, Upton. Burial will be held privately. Calling hours are Wednesday, October 10, from 4 to 7 PM in the funeral home. In lieu of flowers, donations in her memory may be sent to Friends of Northbridge Elders, Inc. (FINE) 20 Highland Street, Whitinsville, MA 01588.